2018 Edition is now available on Booksnclicks.com with free shipping and COD option. Macmillan Advanced Bank Management (CAIIB Examination) 9789387000643 BY IIBF (Indian Institute of Banking and Finance) The four modules of Advanced Bank Management together provide extensive knowledge and understanding of economic analysis, business mathematics, human resource management, and credit management as of the year 2011. 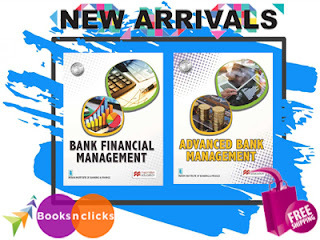 Macmillan Bank Financial Management (CAIIB Examination) By IIBF (Indian Institute of Banking and Finance) 9789387000650 Paperback This book helps readers to familiarize with the concept of International Banking, while learning about Forex Business, Exchange Rates, Basics of Forex Derivatives, Correspondent Banking, NRI accounts and Role of ECGC, FEMA and FEDAI. Similarly, other sections, terminologies and concepts are explained in clear and detailed way. Written in simple and easy-to-understand language, this book is ideal for banking professionals, who want to get a deeper understanding of banking industry.